Our commitment to serving seniors in need of below market housing began in 1948 with the creation of the Kiwanis Village in North Vancouver. This was made possible by the generosity of Kiwanis members who helped to finance the purchase of a group of wartime houses. In West Vancouver, the Kiwanis role in affordable housing began in 1957 on the site now known as Kiwanis Garden Village, with the construction of small duplexes and two-storey apartment buildings. 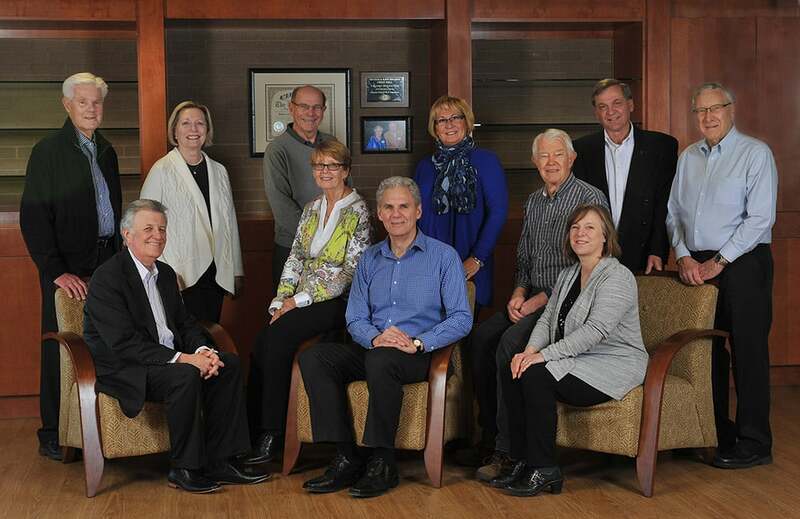 The Kiwanis North Shore Housing Society (KNSHS) is managed by a volunteer board of directors with a team of professional, caring employees. KNSHS was formed in 2016 when the North and West Vancouver Kiwanis merged their housing operations. Kiwanis Board 2017 (left to right) – Ray Mclellan, Stan Lewis, Wendy Nevison, Brian Hann, Trudy Hubbard, Patrick McLaughlin (Chair), Anita Jobs, Bob Clark, Lesley Midzain, Scott Morrison, Ron Wood. Not pictured: Peter Martin. Today, Kiwanis members continue to donate their time and financial resources to support our housing project.